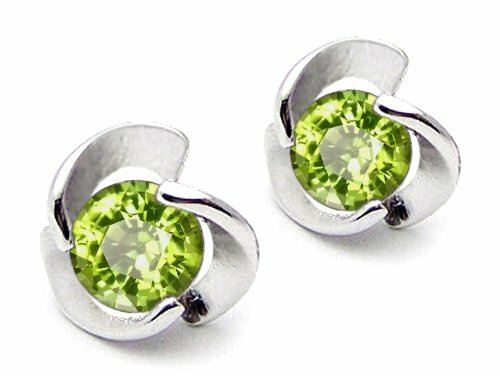 Peridot gemstone jewelry makes a perfect gift for the August birthday or the 16th wedding anniversary. The gemstone peridot has been mined for thousands of years and used for ornamintation and in jewelry. It is one of the few gemstones that are found in basically one color family which is an olive green. The stones can be found in the palest almost yellow green to a dark brownish green and all shades in between. The Egyptians used peridot and it is believed by many that the emeralds that Cleopatra wore were actually pieces of peridot made into jewelry for her. 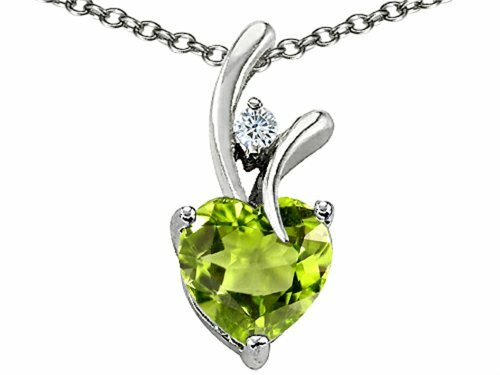 Peridot is the birthstone for August and is also an appropriate gift for the 16th wedding anniversary. I am not certain why it was chosen for an anniversary gift but I did find it suggested more than once. Besides being the birthstone for August birthdays, this gemstone is believed to have other qualities that might be of interest to you. 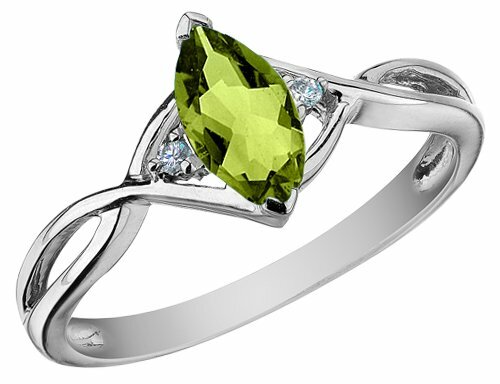 There are people who believe that the peridot can bring good luck to the person who wears it in their jewelry. Some people will wear peridot jewelry to bring peace into their lives while others wear it to bring success. 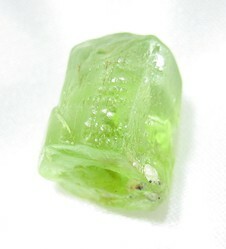 In some cultures the gemstone, peridot, is believed to promote good health. Jewelry made from peridot has also been worn to give a feeling of protection. People who are having trouble sleeping will sometimes be advised to keep a piece of the gemstone peridot near their bed. Can the gemstone peridot attract love? Well, I don't know for sure but there are people who believe that wearing gemstone jewelry made with the peridot will attract love to them. Others believe that wearing peridot jewelry will calm angry thoughts and soothe their nerves or take away the negative emotions around them. Some of these beliefs might hold some merit, but I think peridot gemstone jewelry is just very pretty to look at and wear whether you have an August birthday or not. 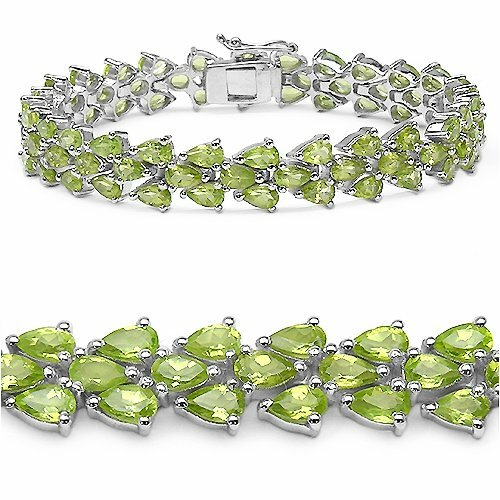 The peridot can be found in so many interesting shades of green and looks fantastic with so many different colors. Whether it brings good luck, attracts love, or any of those other qualities that are attributed to this gemstone really doesn't matter to me. My interest in the peridot gemstone jewelry is a result of it being my oldest daughters birthstone. She will be a brand new Mom in August too; so, I wanted to get her something extra special this year for her birthday to celebrate both occasions. The new little granddaughter will be too little for jewelry for a while but Grandma will most definitely want to get her some peridot jewelry, too. Thanks for stopping by to see some examples of peridot gemstone jewelry that is perfect for an August birthday or any day. That's such a beautiful and unusual colored gem! wowwww this is so beautiful and eyecatching! I love the necklace. Upon graduation, I got a solitaire peridot ring in place of getting a traditional high school ring. Very pretty stone. I wear it to this day. Lovely! Two of my sisters have a birthday in August. . . gift idea? I love the shade of green of the peridot gemstone, I like it much better than the deeper emerald green. I don't actually attribute any love producing qualities to it, I just like its looks. lol. Very nice...this was my mother in law's birth stone. Peridot is such a pretty gemstone. Nice information about its properties.